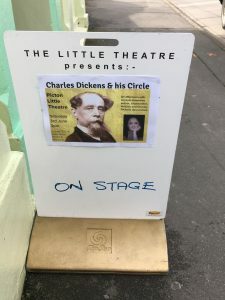 Thank you to the Picton Little Theatre for inviting me to speak about Dickens in their beautiful Marlborough Sounds town, on the South Island of New Zealand. The theatre might be ‘little’ but the audience was huge! It was standing room only and a superb atmosphere (helped by the mulled wine, after all, it is Winter over here).